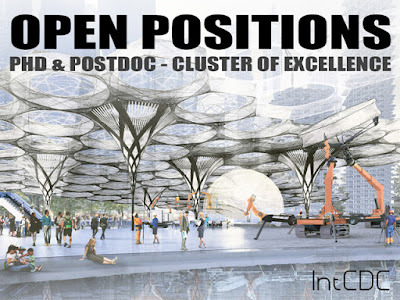 The University of Stuttgart will establish its new Cluster of Excellence Integrative Computational Design and Construction for Architecture (IntCDC) in 2019. With an initial funding period of seven years, the Cluster of Excellence is the most significant and substantial grant awarded by the German Research Foundation DFG. For the very first time, a Cluster of Excellence has been awarded to the field of Architecture. It will contribute to establishing one of the biggest research centers in the field globally. The Cluster aims to harness the full potential of digital technologies to rethink design and construction based on integration, with the goal of enabling game-changing innovation in the building sector. The Cluster represents the breadth of scientific excellence of the University of Stuttgart and the Max Plank Institute for Intelligent Systems, across architecture, structural engineering, building physics, engineering geodesy, manufacturing and system engineering, computer science and robotics, social sciences and humanities. 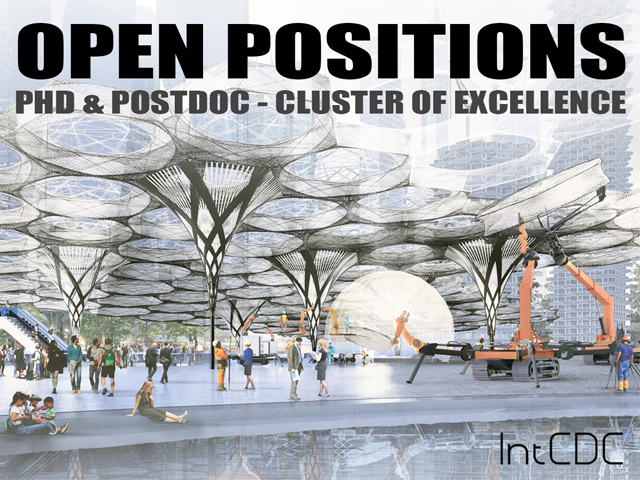 It will be led by Prof. Achim Menges from the Institute for Computational Design and Construction. A more comprehensive description and a movie about the Cluster is on the University of Stuttgart webpage.